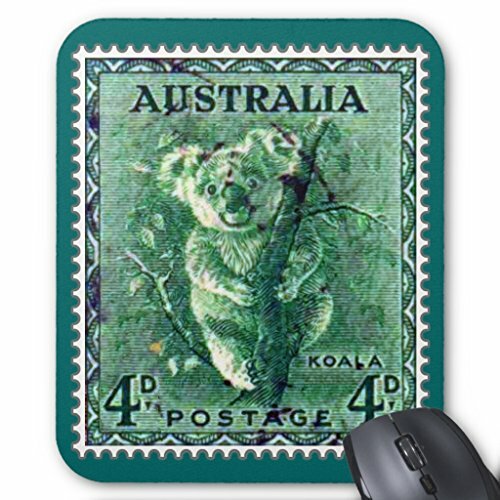 This design features a vintage Australian four penny 4d stamp with a Koala Bear in a eucalyptus tree. Koalas are herbivore marsupials, found in coastal regions from Adelaide to Cape York Peninsula. They were exterminated from South Australia state, but since repopulated with Victorian stock. They are not found in Tasmania or Western Australia. Please enjoy our retro reproductions of these original vintage stamps.